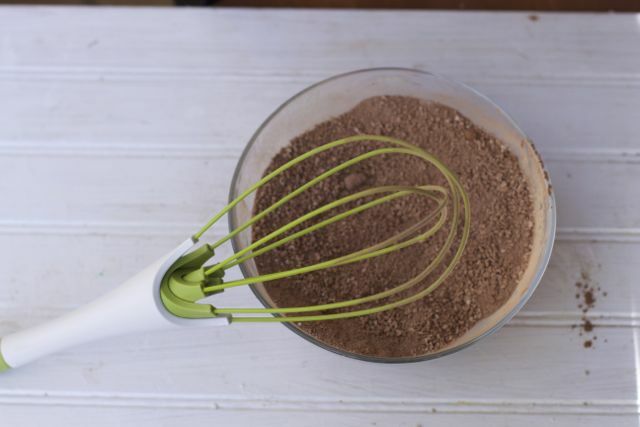 Mix all ingredients well in a bowl–I used a whisk. 1/4 cup of chocolate chips or crushed candy canes. We used the holiday green mint chips. 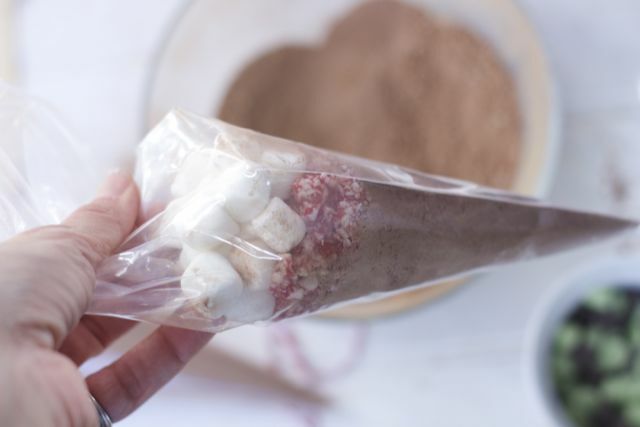 You can make two separate compartments to preserve toppings or just put everything in one cone shaped bag. If using two baggies, place one cone baggie into a tall cup or just roll down half of the baggie. 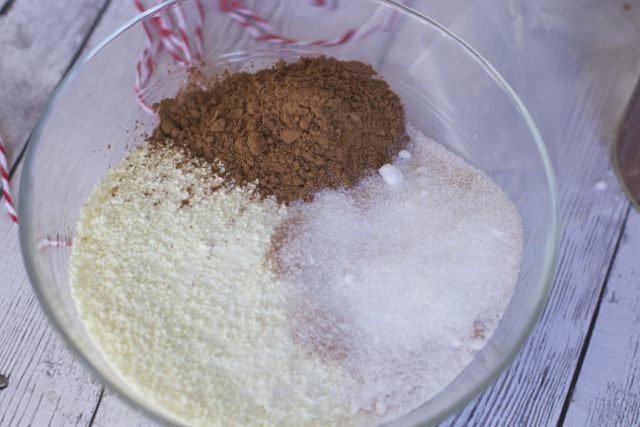 Add the cocoa mix and tie with the twist tie. Cut off the excess bag on top and then add to the other baggie. Here we just added everything to one baggie. Top off with chocolate chips and marshmallows. This way is a little messier. Twist tightly and use a cute ribbon to close off. 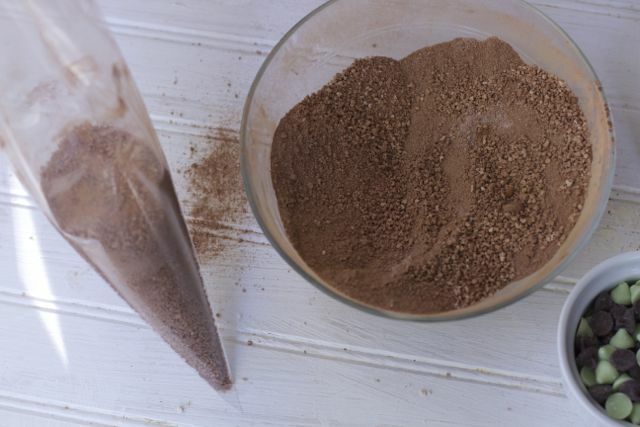 Add 4 tbs cocoa mix to 8 ounces of hot water. Mix and add toppings as desired. 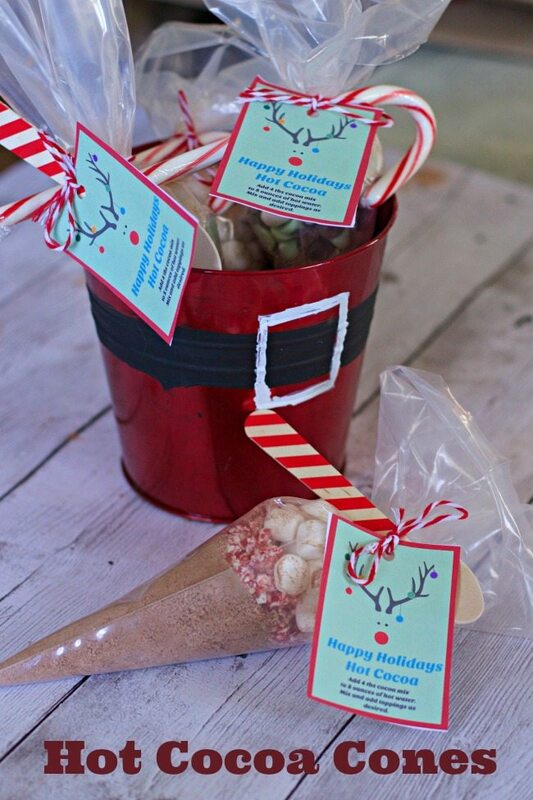 You can also adorn the package with a candy cane. 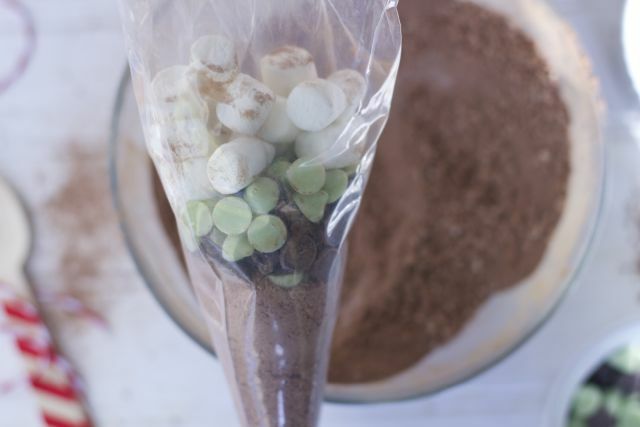 The mix can get messy but your kids are going to love adding the toppings to the “ice cream cones”. Just be sure you have the right clean up tools on hand. 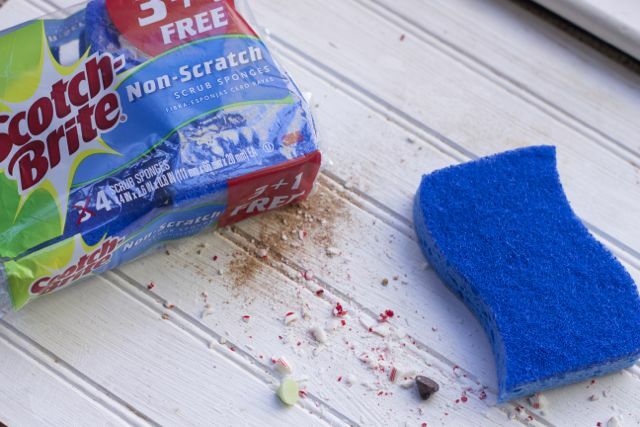 I have a stock pile of Scotch-Brite® Heavy Duty Scrub Sponge & Scotch-Brite® Non-Scratch Scrub Sponge on hand for easy holiday clean up. 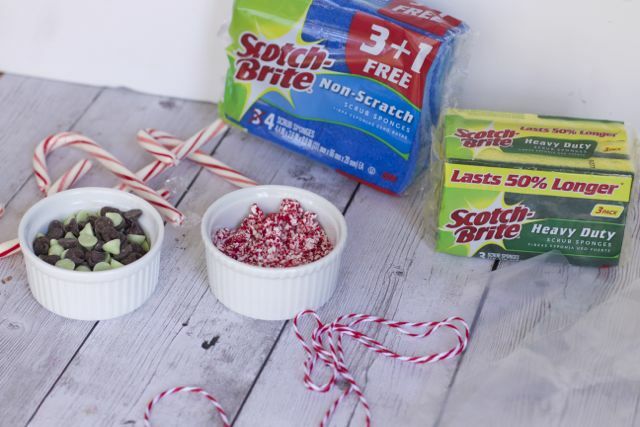 If you have the right tools on at home, cleaning up holiday crafts and recipes is a breeze like these blogger ideas. 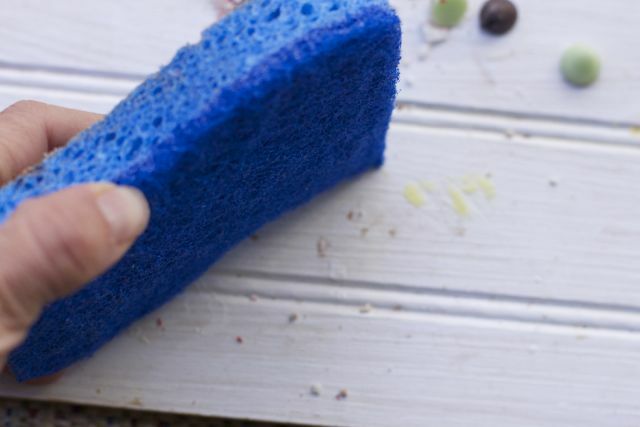 There are so many uses for these sponges and they are safe to use on so many different surfaces. I needed to clean off they plywood board I photograph on. These sponges worked great. I had some wax from another project and you can use the scrub side to get up stuck on gunk. Clean Tough Messes 50% Faster. 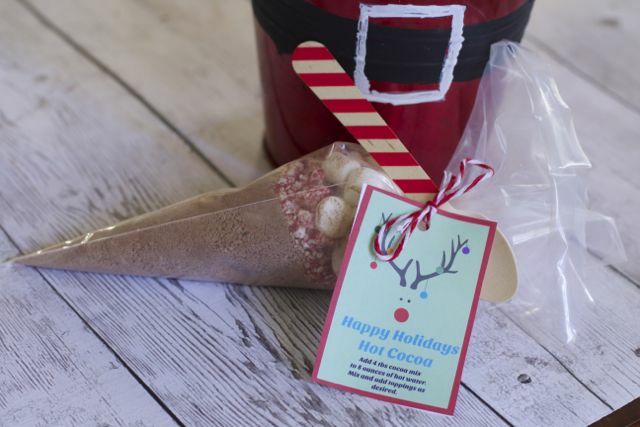 For an extra special treat, put these into a festive mug with some cookies or make a fun holiday container to gift or display multiple hot cocoa cones. You can also do these into a jar that you have saved. Either way, the gift recipient will welcome this warm drink mix on a cold winter’s day. 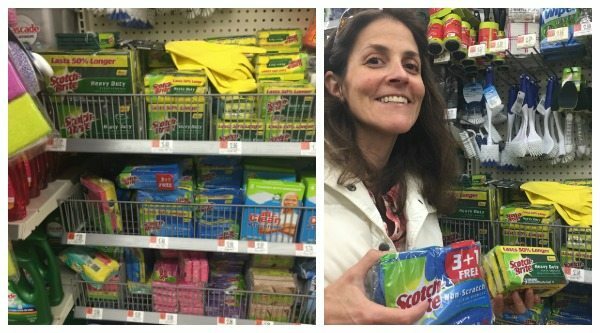 We found all that we needed for this project at Walmart. 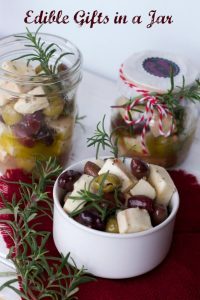 What is your favorite homemade gift to give for the holidays? 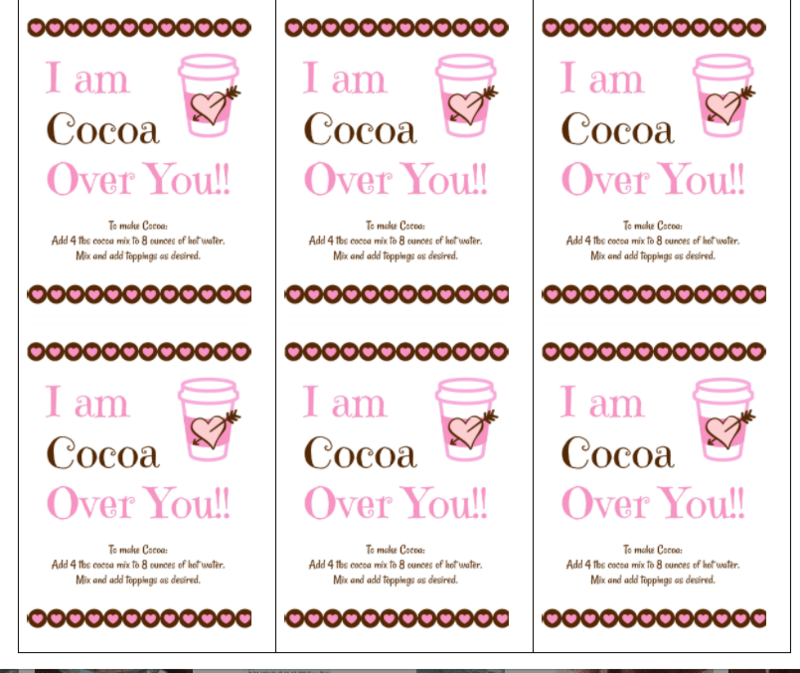 Here are our Valentines Printable for these awesome Cocoa Cones!! 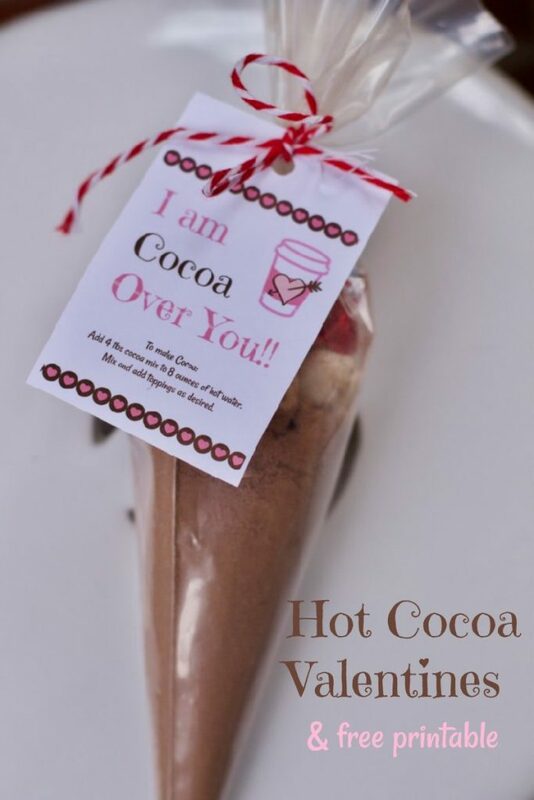 DOWNLOAD THEM HERE: Valentines Printable for these awesome Cocoa Cones!! 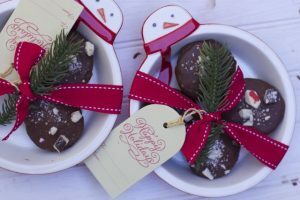 I copied the recipe for Hot Cocoa cones but couldn’t find where the printable label for it. VERY FRUSTRATING! This is absolutely a cute idea and I want this as a gift. Glad you share this with us. These would make a great Christmas gift for the many relatives I have that I can not always buy or. My kiddos would enjoy finding them in their stockings, as well. The kids can get involved and it is the thought that counts. 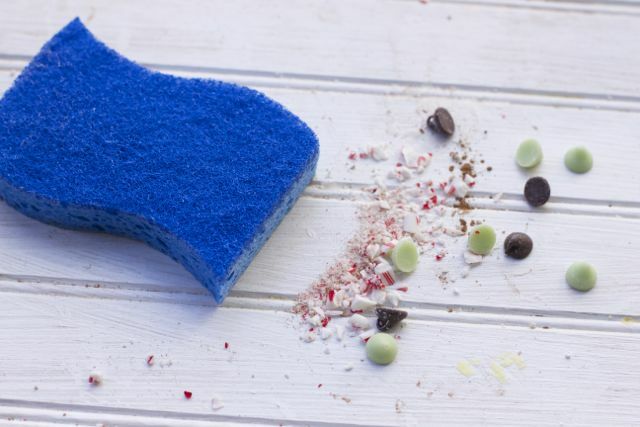 What a super yummy treat idea with easy cleanup! 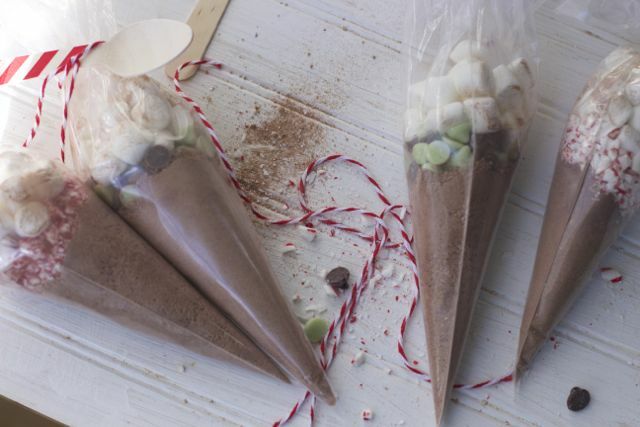 That’s great, I think I will make some of these hot cocoa cones for Christmas gifts! What adorable gift ideas! 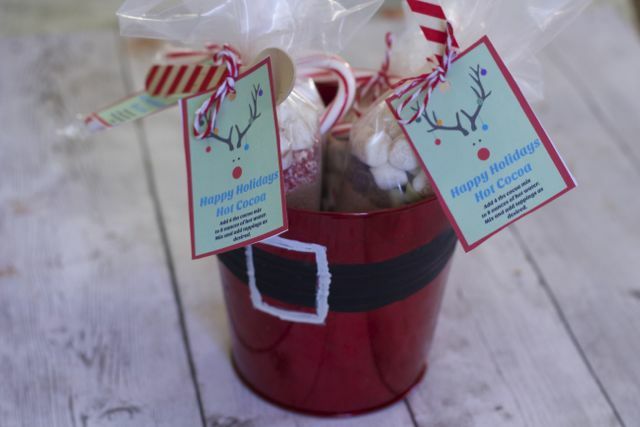 I need to make these for teacher gifts – like how easy they are. 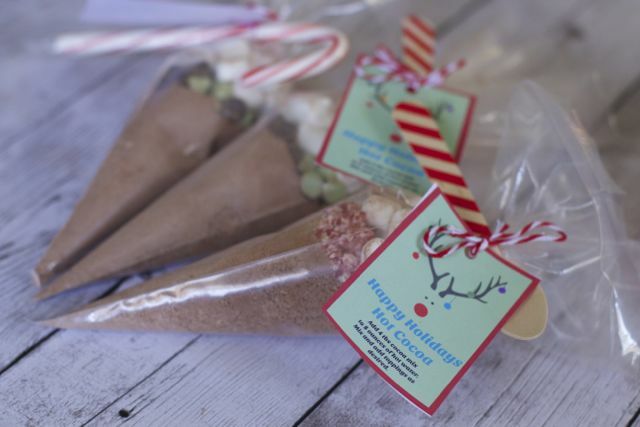 The Candy Cane Soup/cones are such a great way to give something small but sweet to teachers or neighbors or friends. I love how easy it is to put these together. 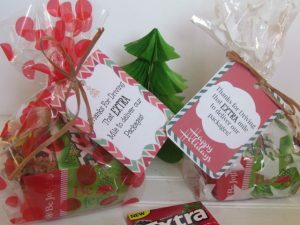 These are such a cute idea for teacher’s gifts! Omg how cute are these cones?!?! I bet my daughter would love to make these with me!!! !